The Memorial Candle Program has been designed to help offset the costs associated with the hosting this Tribute Website in perpetuity. Through the lighting of a memorial candle, your thoughtful gesture will be recorded in the Book of Memories and the proceeds will go directly towards helping ensure that the family and friends of Lenora Gordon can continue to memorialize, re-visit, interact with each other and enhance this tribute for future generations. LENORA “LEE” GORDON, passed away on Wednesday, October 3, 2018, at the age of 76, after a long and valiant battle against cancer. She was born February 3, 1942 and was a lifelong resident of New Jersey, residing in Rahway, North Brunswick and Manasquan prior to retiring to Westlake in Jackson Twp., NJ, 14 years ago. 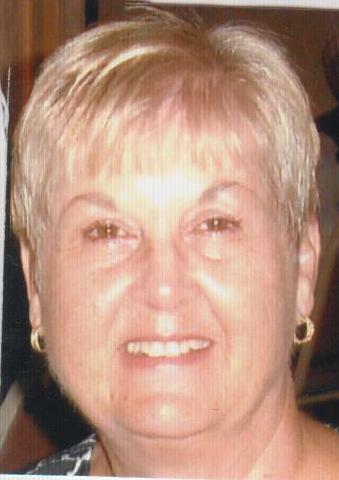 Lee and her husband, Frank owned Gordon Radiator in Elizabeth, NJ, for 40 years prior to retiring. She loved spending time with family and traveling throughout the United States, Australia and Europe. Lee never lost her faith or her positive outlook throughout her illness. Her goal was to live as long as possible so that she could continue to enjoy many of her children and grandchildren’s milestones. Lee won that battle…living not months but years with stage 4 cancer. She was predeceased by her parents, James and Florence Makar; and by her brother, James Makar. She is survived by her beloved husband of 54 years, Francis of Jackson Twp., NJ; her son, Frank and his boys, Kevin and Kyle of Howell Twp., NJ, and their mother, Eileen Jenny Gordon; her daughter, Kimberly George and her husband Stephen of Milltown, NJ; her grandchildren, Katie, and Stephen; her sister, Susan Christine; and by her brother, Peter Makar. Without her family’s love, devotion and prayers, nothing would have been possible. Relatives and friends are respectfully invited to attend her visitation from 4-8 PM on Monday, October 8, 2018, at the GEORGE S. HASSLER FUNERAL HOME, 980 Bennetts Mills Rd., Jackson Twp., NJ 08527. A funeral gathering will be offered at 8:30 AM on Tuesday, October 9, 2018, at the funeral home. Her Funeral Liturgy will follow at 9:30 AM at St Aloysius Roman Catholic Church, 935 Bennetts Mills Rd., Jackson Twp., NJ. Interment will follow in Brig. Gen. William C. Doyle Veterans Memorial Cemetery, 350 Provinceline Rd., Arneytown, NJ. In lieu of flowers, the family welcomes donations to her favorite charity, St. Jude Children’s Research Hospital, 501 St. Jude Place, Memphis, TN 38105-1942 www.stjude.org. For directions, further information, and to send condolence messages to the family, please select a tab on the left.